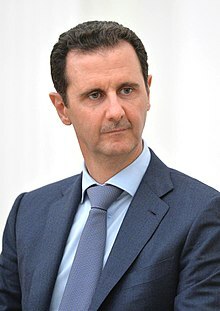 Assad's homes and his inner circle's homes should be blown to pieces - I Think, Therefore I Rant! I don’t care about 15 of those locations – they can be decoys for all I care about. The first location needs to be Bashar al-Assad’s palace in Damascus on Mount Mazzeh. It is his primary residence and the place that his family lives. Level it. The second location needs to be the old palace that Assad still sometimes lives in – Tishreen Palace. Once again it should be leveled to dust. The 3rd location(s) should be the home(s) of his brother Maher al-Assad. After that we should level the home(s) of Assad’s first cousin Rami Makhlouf. Then the homes of Ali Mamluk, Abdul Fatah Qudsiya, Rafiq Shahada, and Jamil Hassan (all part of his inner circle). We should list those locations so that families and children (and workers and slaves) can be evacuated and not be killed because they had the unfortunate reality to be related to a tyrant. After that evacuation, just level their homes. Make this personal. No military targets after the tyrants killed innocent lives with horrible weapons. You might disagree. That is my opinion. Previous PostThe Road to Success – 30 Habits, Qualities, and SecretsNext PostCool video to help save the coral! !